As any parent or teacher knows, tests can create crippling anxiety in students–and anxious kids can perform below their true abilities. But new research in cognitive science and psychology is giving us a clearer understanding of the link between stress and performance, and allowing experts to develop specific strategies for helping kids manage their fears. These potential solutions are reasonably simple, inexpensive and, as recent studies show, effective. 1.) Unload on paper. When students feel nervous, their capacity to think clearly and solve problems accurately is reduced, says Sian Beilock, a cognitive scientist at the University of Chicago. Students taking an exam must draw on their working memory, the mental holding space where we manipulate facts and ideas. “When students are anxious, their worries use up some of their working memory, leaving fewer resources to devote to the test,” Beilock explains. One method recently tested successfully by Beilock and a colleague, Gerardo Ramirez, had students spend ten minutes writing about their thoughts and feelings immediately before taking a test. The practice, called “expressive writing,” is used by psychologists to reduce negative thoughts in people with depression. They tried the intervention on college students placed in a testing situation in Beilock’s lab, and in an actual Chicago school, where ninth-grade students engaged in the writing exercise before their first high school final. In both cases, students’ test scores “significantly improved,” according to an article they published last year in the journal Science. While one might imagine writing about a looming exam would only heighten students’ anxiety, Beilock says the opposite was the case. “Writing about their worries had the effect of ‘offloading’ them onto the page, so that the students had more cognitive horsepower available to apply to solving problems on the test,” she explains. 2.) Affirm your values. Apprehension over tests can be especially common among minority and female students. That’s because the prospect of evaluation poses for them what psychologists call “stereotype threat”—the possibility that a poor performance will confirm negative assumptions about the group to which they belong (among the specious, anxiety-inducing tropes: girls can’t excel in math and science; blacks and Latinos aren’t college material). This additional layer of anxiety can lead such students to perform below the level they are capable of. Walton’s colleague at Stanford, psychology professor Geoffrey Cohen, devised an intervention aimed at reducing stereotype threat. Like the exercise designed by Beilock and Ramirez, it asks students to write briefly, but in this case participants choose something they value and write about why it matters to them. “Music is important to me because it gives me a way to express myself when I’m mad, happy, or sad,” one participant wrote. In one study, this “values affirmation” exercise was shown to shrink the performance gap between white and black students by 40 percent. In another, it erased the gap in test scores between women and men enrolled in a challenging college physics course, raising the women’s average grade from a C to a B (higher than the average male’s grade). 3.) Engage in relaxation exercises. Younger kids aren’t immune from test anxiety. As early as first and second grade, researchers see evidence of anxiety about testing. Their worries tend to manifest in non-verbal signs that adults may miss, says psychologist Heidi Larson: stomach aches, difficulty sleeping, and a persistent urge to leave the classroom to go to the bathroom. “I had one mother tell me that her son had no problem with tests,” recalls Larson, a professor of counseling and student development at Eastern Illinois University. Annie Murphy Paul is an author, journalist and speaker who helps people understand how we learn and how we can do it better. 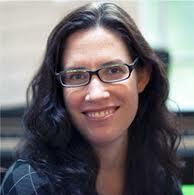 A contributing writer for Time, she writes a weekly column about learning for Time.com. Paul also blogs at CNN.com, Forbes.com, MindShift.com, PsychologyToday.com and HuffingtonPost.com. She contributes to The New York Times Magazine, The New York Times Book Review, Slate, and O - The Oprah Magazine, among many other publications. She is the author of The Cult of Personality, a cultural history and scientific critique of personality tests, and of Origins, a book about the science of prenatal influences. She is now at work on Brilliant: The New Science of Smart, due out this year.